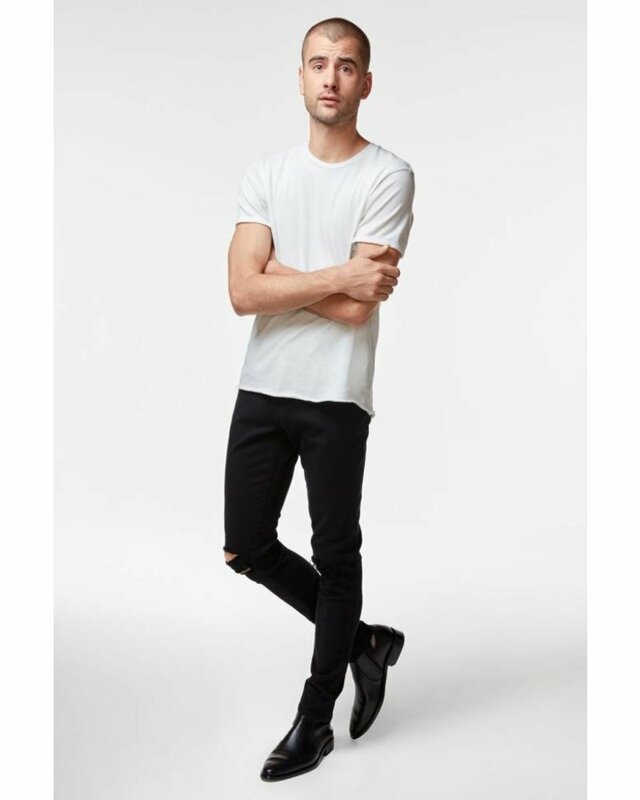 A classic skinny fit, fitted on the hips and slim through the thigh and leg opening. 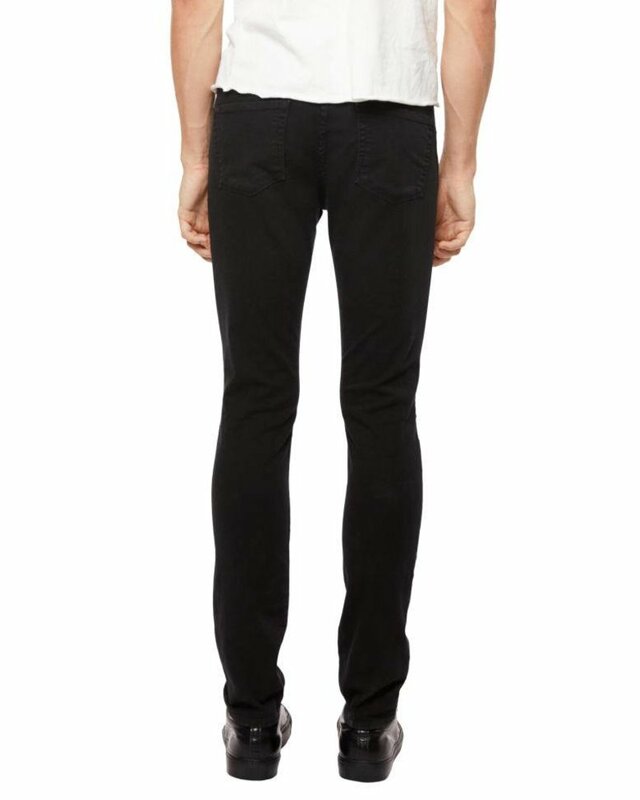 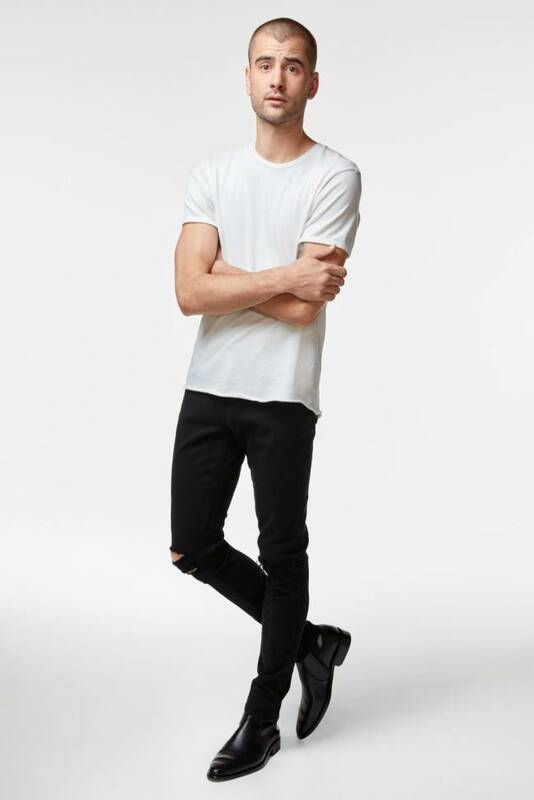 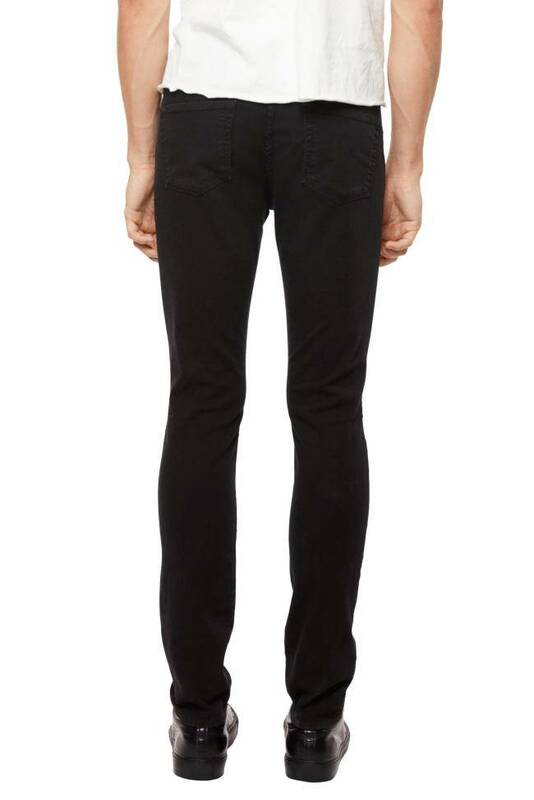 In our iconic Premium Stretch fabric, a colored denim that's built with comfortable stretch. 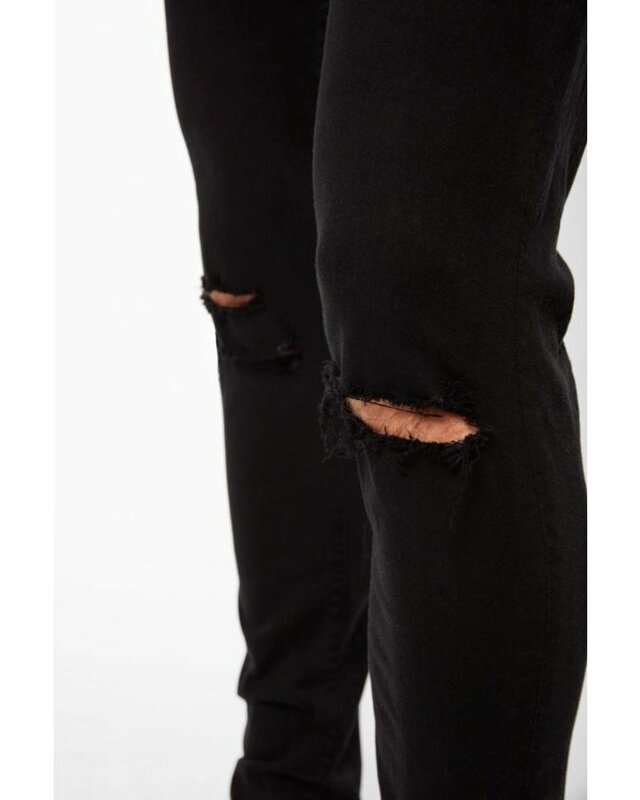 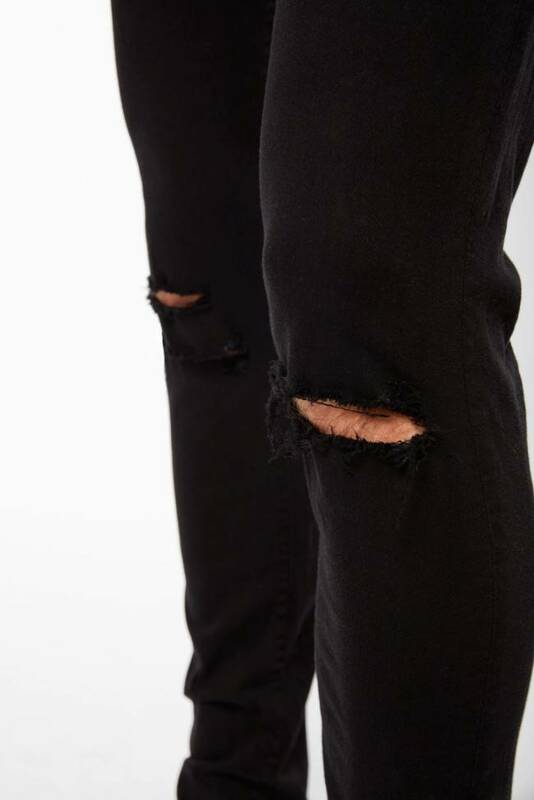 In a clean overdyed black with destruction at the knees and tonal stitching.